Circular motifs such as flowers and sunbursts are versatile quilt block motifs. The Dresden Plate, a popular pattern in the 1920s and 30s, is one of those patterns that can look graphic and modern or classic and traditional depending on fabric choices. 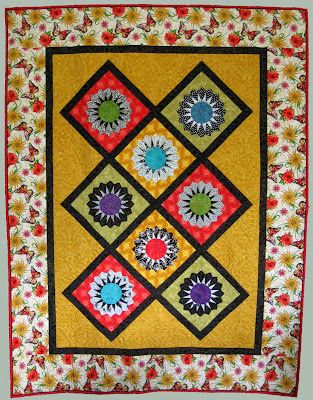 My quilt, "Moon Garden," shows off a bright, bold and graphic Dresden Plate through the use of black-and-white prints and bright, contemporary fabrics. And... the construction is very easy and fun and all done on the sewing machine. Want to learn this fun and easy technique? "So Easy Dresden" class project. Here is a full view of Moon Garden. 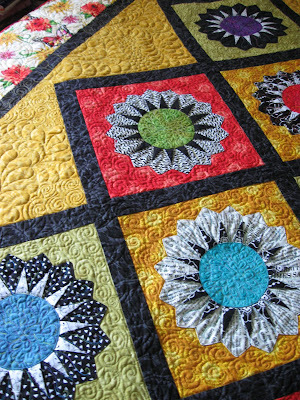 The quilting stats and thread information can be found here. 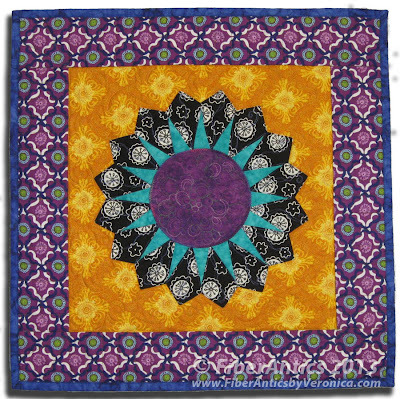 Visit Judy Anne Breneman's web page for history about the versatile Dresden Plate quilt block. A single Dresden Plate block would make a great pillow. 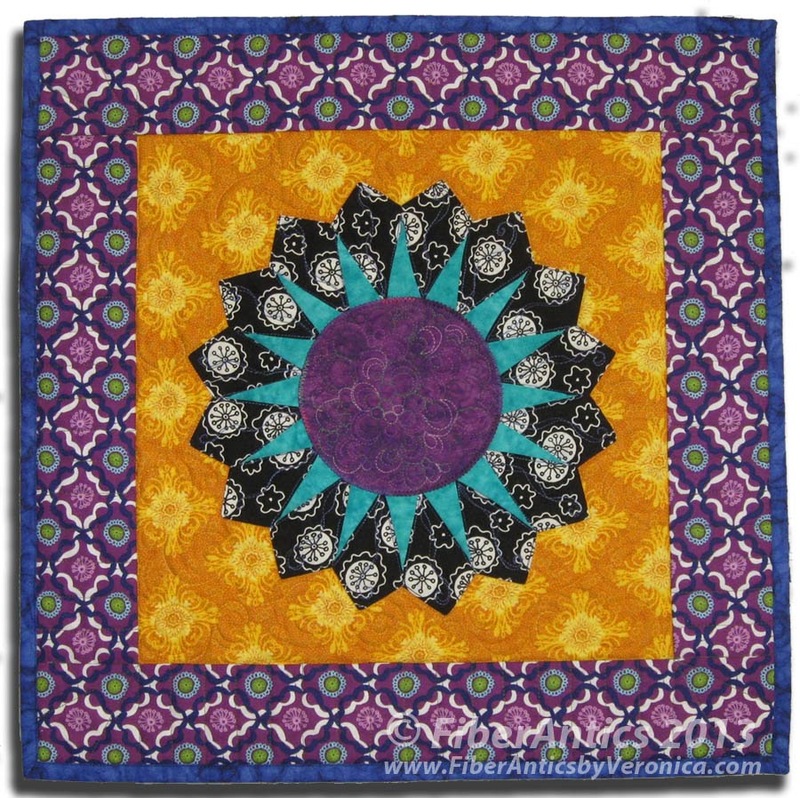 But you can expand your options with multiple blocks to make a beautiful wall hanging or a larger quilt. Will you go modern and graphic or classic and traditional?? I hope to see you in class to find out! Taking time for "Slow Quilting"